The first Saturday of December, already. I hope today finds you with plenty of time to play and get crafty. Perhaps you need a little inspiration? Or a giveaway to dream about? I hope these links will help. I have been following her due to her work with Papertrey Ink and am really inspired by her Project Life work and now she has a wonderful December Daily to follow. Hope Wallace Karney of Besottment by Paper Relics is taking on reverb this year and using the daily prompts to fill up her delightful December Daily. Plus she also has free downloads. Cool lady (by lady I mean a woman of refinement and grace). I love that Nancy Wyatt's December Daily is made from Rhonna Designs digital products and that she customized everything to fit with her needs and vision. As someone who loves hybrid projects, Nancy's blog is so much fun to follow and she's a sweet lady (see above definition). 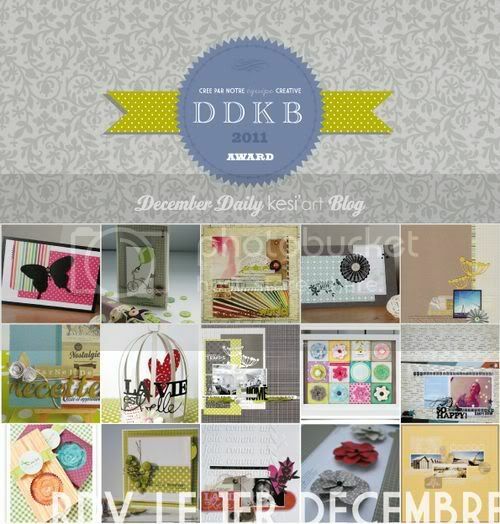 A fabulous designer of digital products and scrapbooker, Iara Baer of Baers Garten Designs never disappoints. She shows her off her beautiful December Daily and I can't wait to see more. An annual event, Kristina Werner creates 25 different holiday cards on video. 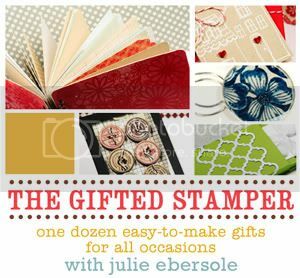 Not to be missed for anyone who loves graphic and clean card design along with stamping. She has a video series running of Quick and Easy Holiday Cards. You can subscribe to her Youtube channel where she has great video tutorials for beginning cardmaking, stamp techniques and the like. Every Friday there is a Friday Freebie including lots of cool journaling cards to use in your December Daily, Journal Your Christmas, Project Life, mini books or any other project you fancy. She should receive a reward. Thank you (not much of a reward, but heartfelt). "Join SCT for 24 days of inspiration from some of our favourite designers..."
It may be en Francais, but isn't inspiration universal? Or a picture worth a thousand words? Whatever the cliche, their are some good tutorials. If you don't read French and wish to read the blog I recommend subscribing through something like Google Reader and using its "translate into my language" option. Ellen Hutson now has the HOWNow School of Creative Arts and The Gifted Stamper is their inaugural class. Looks like a wonderful opportunity to make some handmade gifts for those on your list. Who doesn't love anthropologie? A giveaway of anthropologie goodness...brilliant. When I was straightening up my studio Thursday night I found 3 catalogs from 2009. Did I toss them? No way! They withstand the test of time and are little marvels. A party with recipes, decorations and a giveaway. Rahel Menig's style is really lovely and her bunny is adorable.